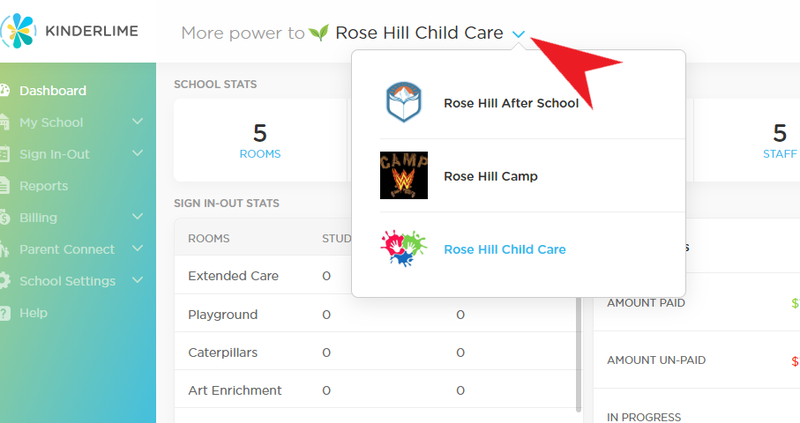 If you have been set up as a teacher or an admin at multiple sites you can navigate easily back and forth between the accounts as needed. 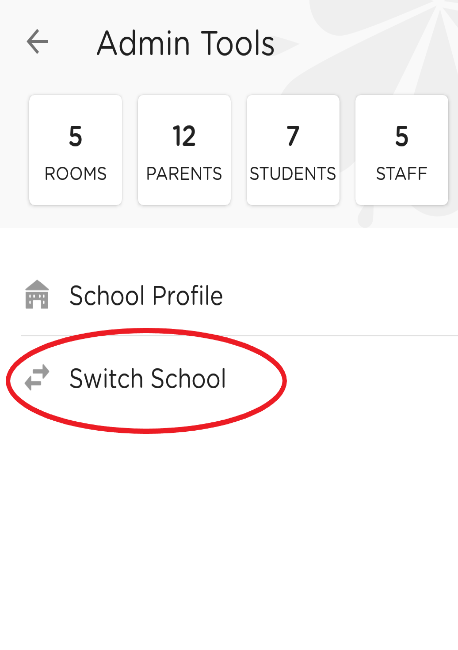 In the Kinderlime App you can go to "Admin Tools" to see the option to "Switch School". Along with the cool sounding name, you will be able to toggle back and forth between any sites you are an admin of, and most importantly, you cannot be removed as an admin from any of those sites. If you have been set as an admin (using the same email address) at multiple schools you can contact us using the chat window at the bottom right side of this page and ask to be set as a "Super Admin".